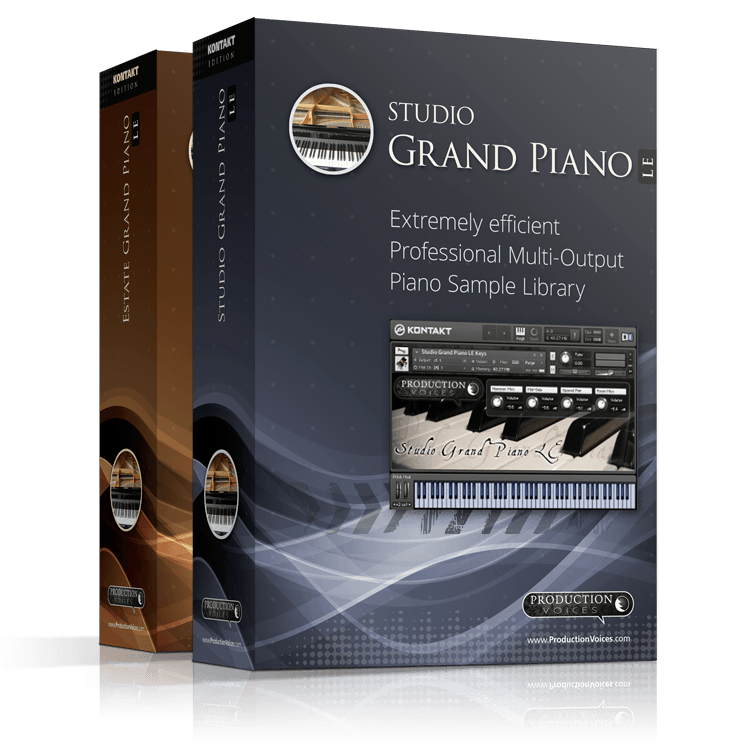 The Production Voices Grand Piano LE Bundle includes both the Studio Grand Piano LE and the Estate Piano LE in one package! 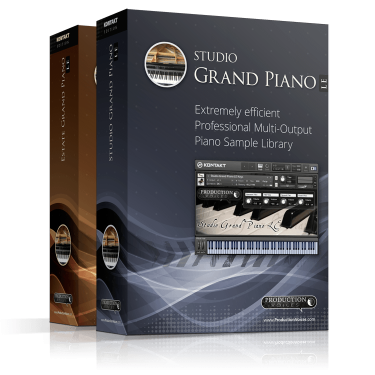 You will get two great sounding sampled pianos at an even greater price! The LE series is our “Light Edition” piano samples. They are “Light” on your system but BIG in control and sound. Both pianos give you multi-microphone control. Producers will particularly love having two unique pianos where you can dial in the sound as if you set up the microphones yourself! Performers will love dialling in the perfect attack and ambience for their performance. The Production Voices’ Estate Grand Piano LE is a beautifully sampled Kawai GS 60 6’9″ grand piano. It was recorded with care and only the finest equipment at a country estate in the heart of corn country in Southern Ontario Canada. The LE version is the “Light Edition” of Estate Grand Piano. Both pedal up and down samples. Recorded with incredible detail and fidelity through Apogee Symphony I/O, Neumann and Rode microphones. Note: Works with the full version of Kontakt 4 or 5 only. Not for use with Kontakt Player.